Scales don't always give you an accurate assessment of weight loss. Their numbers vary according to what you're wearing, your hormones and water retention. Scales may tell you that your weight is "normal," but they don't reveal that you are carrying too much of that body weight as fat tissue. The scale can also become addicting and what it reveals -- loss or gain -- can make or break your day. You don't have to be a slave to the numbers to know if you've lost weight; other factors easily clue you in. 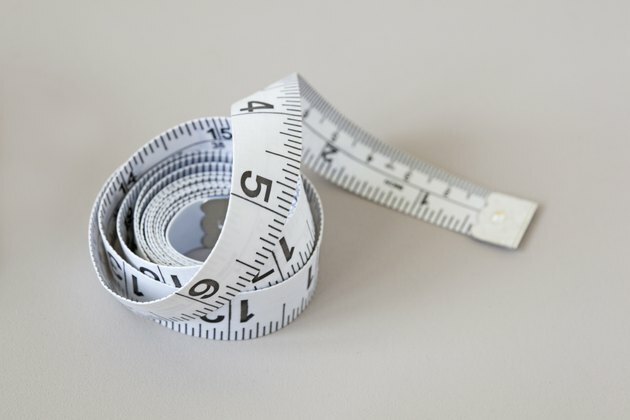 Body measurements taken with an old-fashioned measuring tape can reveal when your size has shrunk and from where on your body you've lost weight. Common sites to take measurements are your upper arms, abdomen -- at your belly button -- hips, thighs and waist. Keep the tape level when you take the measurements and pull it taut, but don't cinch. Measure directly over your skin; bulky clothes will give you a false reading. Use the tape just once a month or so; changes in a day or a couple weeks won't be evident. The way your clothing fits is a telltale sign of weight loss. Designate a snug pair of jeans as your "fit" pair. Try them on every few weeks to see progress in the way they fit. If they're baggier than the last time you put them on, you know you've lost pounds. If you can't get into them anymore, it's a red flag that you've gained too much weight. Also believe it when a colleague or a friend you don't see very often asks if you've lost weight. You may not observe the change because you see yourself daily, but the changes are more evident to a person who only sees you occasionally. Your body fat percentage is a measure of your fat tissue versus lean mass, specifically muscle, bone and connective tissue. A higher body fat percentage, even if your total weight is normal, means you are vulnerable to the same deleterious health problems associated with obesity, including heart disease and type 2 diabetes. Having a body fat higher than 23.1 percent for men and 33.3 percent for women is particularly dangerous. When you measure your body fat every month or two, and it decreases, you know you've lost fat weight. Bioelectrical impedance scales are common, but notoriously unreliable in their readings. Ditch the scale and seek out a certified personal trainer at a fitness facility who can check your body fat using body calipers that pinch the skin at various sites, including the triceps, abdomen and thigh. This is a more reliable measure, but subject to user error. A DEXA scan, which is primarily used to measure bone density, a "bod pod" or underwater weighing are most accurate, but usually require you visit a special facility and can be pricey. If you've been eating better, working out and sleeping well, you'll feel it -- regardless of what the scale says, or doesn't say. Workouts might seem easier, and you'll notice you have more energy during the day. Old photos and a simple once-over of yourself in the mirror also tell you where you are on your weight-loss journey. Your doctor's office might notice you've lost weight too -- and not just during the nurse weigh-in. A reduction of 5 to 10 percent of your body weight can show up as improvements in health markers, such as blood sugar, cholesterol levels and blood pressure.